The Morris County Municipal Utilities Authority (MCMUA) reminds county residents to recycle gift wrap this holiday season rather than put it into the trash. The only exception is real foil wrap, which should be reused or put into the garbage. Penny Jones, MCMUA recycling education specialist, said gift wrap, including tissue paper, is acceptable in Morris County's recycling programs. "The amount of trash that haulers collect increases dramatically during the holidays," Jones said. "Much of that is gift wrap and packaging that can be reused or recycled rather than relegated to the trash." Jones suggested saving and reusing bows as well as bubble wrap and clean, dry polystyrene (Styrofoam®) packing peanuts. She said the packing peanuts and bubble wrap can be taken to Mail Boxes Etc., the UPS Store or similar retailers for reuse. To find the closest store, Jones said an individual can call the Plastic Loosefill Council's "Peanut" Hotline at 1-800-828-2214. Also, click here to get some good ideas from Earth 911 on holiday recycling and reuse ideas. Jones said corrugated cardboard cartons, pre-holiday catalogs and gift boxes should also be recycled, as should glass bottles, plastic bottles coded 1 and 2, aluminum and steel (tin) food and beverage cans from holiday gatherings. Newspapers, magazines and junk mail - all of which are generated year round, should be recycled as well. If cardboard boxes are too large to fit into a curbside recycling bin, they should be flattened, folded and stacked inside one cardboard box and placed next to the recycling bin, Jones said. In addition, a number of new items are now being accepted for recycling in the communities that participate in the MCMUA's All-In-One, single-stream curbside recycling program Jones said. 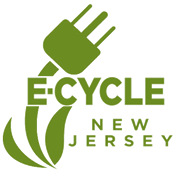 Click here for information about e-waste (electronics) recycling. Since January 2011, electronics (TVs, computers and monitors) have been mandated by state law to be recycled. They are banned from the garbage and must not be left at the curb for collection. If left at the curb, scavengers can go through the electronics and rip out the valuable metals while leaving a hazardous waste mess behind. Please do not leave electronics outside for collection. The MCMUA, many municipalities, and several retail outlets provide free recycling for items, as well as other electronics. Click here for information about battery recycling and disposal. Since January 2010, the MCMUA and most towns and counties in New Jersey have updated their battery management programs and now advise putting the disposable alkalines into the garbage while recycling rechargeable batteries through the Call2Recycle program. With respect to recycling natural Christmas trees when they have outlived their initial purpose, please check with your municipality to see what collection and/or management options they provide. While the MCMUA vegetative waste recycling facilities accept Christmas trees from municipalities directly, it cannot accept them from individual residents.